Patrick J. Kennedy, a former member of the U.S. House of Representatives and longtime advocate for health care reform related to preventive care and the treatment of mental illnesses and addiction, comes to Spokane January 31. 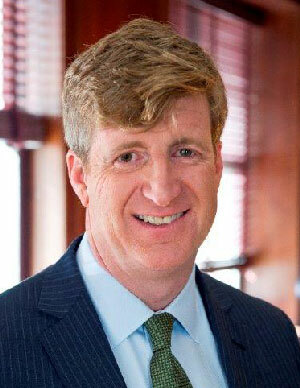 Kennedy will lead a community forum about the importance of mental health care in our region and our nation. Kennedy is the keynote speaker at 'Making Mental Health Essential Health,' a community conversation. The free event is presented by Providence Health Care and Eastern Washington University, at the Spokane Convention Center. Doors open 5–6pm for a presentation of local mental health resources; the keynote presentation and panel of local experts follows from 6–8pm. St. Luke's Rehabilitation Institute added three physicians to the physiatry multidisciplinary team: Frank Jackson, D.O. ; Jonathan Morrill, M.D., M.A. ; and Hongjie Yuan, M.D., caring for patients recovering from major trauma and disease. Dr. Frank Jackson graduated with a degree in biology from Pacific Lutheran University in Tacoma. Following that he worked for a number of years as a research cellular biologist in pharmaceutical biotechnology. He integrated his science education with his interest in spine and holistic medicine and attended Midwestern University, Arizona College of Osteopathic Medicine in Glendale, Ariz. Dr. Jackson completed his Physical Medicine and Rehabilitation (PM&R) residency at the University of Utah where he also served as chief resident. 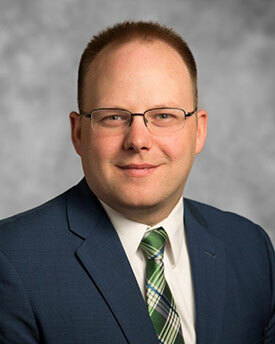 Dr. Jonathan Morrill most recently has served as the medical director for Providence St. Mary Inpatient Rehabilitation Center in Walla Walla. He earned his medical degree as well as a master;s degree in medical sciences at Boston University School of Medicine, followed by residency in PM&R at the University of Washington. Dr. Morrill then completed a Neuromuscular Medicine Fellowship at the University of California, Los Angeles School of Medicine. He has co-authored a number of peer reviewed research publications. He will join the current team of physicians providing electrodiagnostic (EMG and nerve conduction) services. Dr. Hongjie Yuan attended medical school at Jiangsu University Zhenjiang Medical College in China, and completed her master's degree in Rehabilitation Science at Nanjing Medical University. She then went to the Medical University of South Carolina to conduct clinical research projects. She completed her residency at the University of South Carolina-Greenville Memorial Hospital and Kingsbrook Jewish Medical Center programs. She is also interested in traditional Chinese medicine, completing a program for physicians in acupuncture at SUNY Downstate Medical Center, Brooklyn, NY. For more information, visit www.st-lukes.org. With demand increasing for business and commercial services, STCU has beefed up its commercial and business division with newcomers bringing decades of experience to an already seasoned team. Christie Moore, STCU Commercial Banking Manager, who comes to STCU with 21 years of experience at financial institutions, most recently as a commercial loan officer at Numerica Credit Union. Kerri Schoolcraft, Business Banking Administrator, who worked 16 years at Washington Trust Bank, most recently as commercial real estate operations manager. She has a bachelor's degree in business administration, management and operations from University of Phoenix. Sean Gilbert, STCU Commercial Banking Officer, who was vice president and commercial relationship manager with Banner Bank (previously AmericanWest Bank) for 15 years. A former Marine, Gilbert holds a finance degree from Eastern Washington University and is a graduate of Washington Bankers Association Executive Development Program. Walter Coleman, STCU Business Banking Officer, with nine years of retail, business and cash management experience with U.S. Bank. 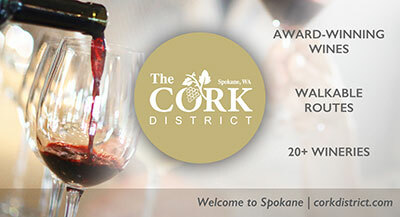 If you or someone you know is interested in developing leadership skills, getting connected to other local leaders and improving their knowledge of the Spokane area as well as how to make our community stronger, you can attend an informational briefing to learn more about Leadership Spokane Class of 2019. There are five optional briefings scheduled to answer your questions. Leadership matters, and you will learn how to capitalize and build your personal leadership skills to make a difference for your organization and the community. You will also connect with dozens of other like-minded individuals committing to stepping up for our region. All information sessions will be held at GSI, First-Floor Conference Room, 801 W. Riverside Ave., enter through Post Street door. To apply and for application and for more information, visit www.leadershipspokane.org. A great way to start off the new year is at the Spokane Health & Fitness Expo, coming to the Spokane Fair & Expo Center this Saturday and Sunday, January 6 & 7. See what's new for 2018. Meet fitness experts on Yoga, Pilates, Barre, Strength Training and more. Free Fitness Classes on the Athleta Main Stage, sign up online. Ninja Warrior Obstacles, Aerial Silks, 30' Rock Climbing Wall and more. Jiu Jitsu and CrossFit Tournaments are on Saturday January 6, and Roller Derby Games are on Sunday. There will be a Pickleball Tournament all weekend long. 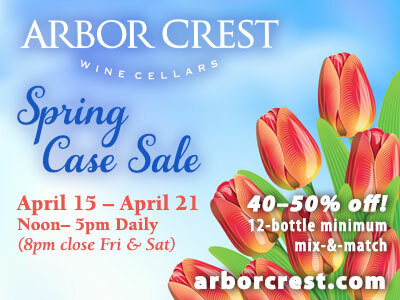 Hours are Saturday 10am-6pm, Sunday 10am-4pm. Admission is $8, Kids 6-12, $5. Cash only, good all weekend, parking is Free. 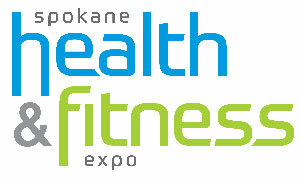 For more information, visit SpokaneHealthFitExpo.com. Nuvodia, a nationally recognized leader in Healthcare Informatics and Information Technology Services recently announced the selection of Chris Patrick as the company's new CEO. Patrick has served Nuvodia in a number of positions over the past 11 years, most recently as president. He succeeds Jon Copeland who announced his retirement plans earlier this year. Over the course of more than 20 years of diverse professional experience, Patrick has owned and successfully sold a small business, served as director of sales at AT&T (No. 11 on the Fortune 50 list), and held several top posts in the information technology sector. Chris has worked across multiple industries, including the healthcare, professional services and energy sectors. 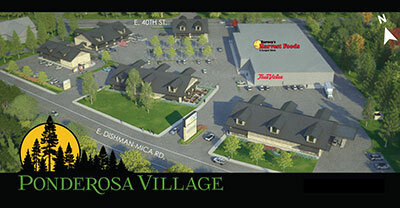 Barney's Harvest Foods, at 11205 E Dishman Mica Road in Spokane Valley, owned by brothers Ken and Jon Tuntland and 4th generation Mike Tuntland, are bringing change to the neighborhood with the development of Ponderosa Village. This process has been in the making for 1.5 years. They have chosen to reach out to the people in the community to see what they needed and wanted. Surveys are being given out in the store encouraging the neighbors to submit ideas, suggestions and to voice any concerns. In the past 6 months the family has secured the building that formerly housed T & J Pourhouse. In the near future the building will be removed and space will be readied and landscaped for the addition, which will be named Ponderosa Village. Phase one will begin to secure tenants who want to be part of this community; with up to 30,000 square feet of leasable space. Construction is slated to begin in the spring of 2018, and will continue as demand sees a need. The team that put this together is a collaboration of individuals who have a long time involvement in the Spokane Valley and Barney's Harvest Foods. They are committed to this neighborhood and the community of Ponderosa Village. The architect chosen for this exciting project is Rex K Anderson of FUSION ARCHITECTURE. The Project manager is Clyde Haase. Nick Ulrich joined Winston & Cashatt in 2017. His practice focuses on criminal defense and civil litigation. Prior to joining the firm, Nick clerked at the Washington Court of Appeals, Division III for Judge Kevin Korsmo. He then worked as a public defender with both the City of Spokane the Spokane County Public Defender's office. Nick has litigated misdemeanor cases, felony, fugitive, and LFO first appearances in both district and superior courts. Prior to working as a public defender, Nick has experience, in Spokane's municipal, district, and superior courts. Nick is originally from Spokane. He received his undergraduate degrees in Physics and Mathematics from Washington State University in 2010. He also studied German and spent a year abroad in Germany. After college, Nick's passion for public service led him to Northern Illinois where he worked with at-risk high school students as part of a two year AmeriCorps program. After his AmeriCorps program and wanting to return to the Pacific Northwest, Nick attended the University of Washington School of Law where he graduated in the top third of his class in 2015. During law school, he externed for the Washington Court of Appeals, Division III and spent a summer in Ketchikan, Alaska working for the Alaska Public Defender. He has participated in numerous local, regional, and national advocacy competitions and graduated as a member of the prestigious Order of Barristers.